Better results in less time. What's not to love about high-intensity interval training? Melt fat fast with this scientifically proven program! Not every new fitness trend lives up to the hype. But high-intensity interval training, aka HIIT, has been exactly what its name promises: a big "hit." This form of cardio workout intersperses intervals of all-out exercise, such as sprinting or fast-paced bodyweight work, with recovery periods of either low-intensity exercise, such as walking at a slow pace, or complete rest. It's a huge departure from continuous steady-state, slow-and-steady cardio that most people do at a moderate intensity for 30-60 minutes. During a high-intensity interval training routine, you'll be running--or cycling or whatever--like a bat out of hell for brief stretches, and your heart rate will skyrocket. But when all's said and done, your workouts will be shorter, and you'll have improved cardiovascular fitness and better results in less time. You don't have to be an elite athlete to benefit from interval training, though. 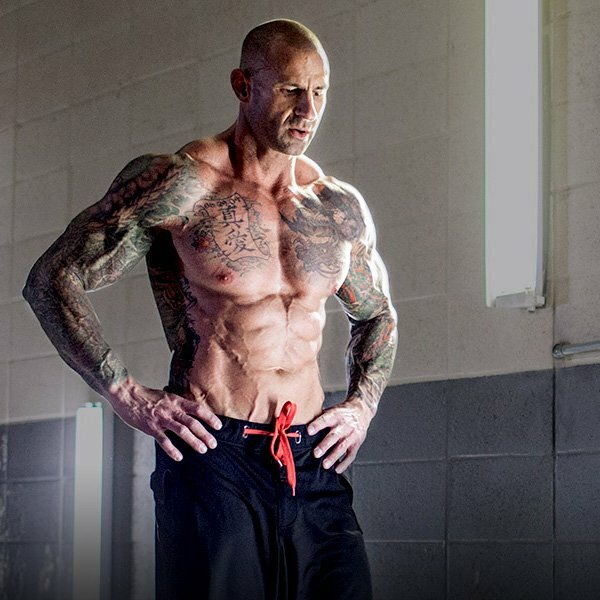 I'll share the incredible science behind this style of training, and then give you a routine that can take any beginner into a conditioned HIIT beast in just 8 weeks! It starts with a work:rest ratio of 1:4 in Phase 1 for a total workout time of just under 15 minutes. Phase 2 bumps up the amount of time in the "work" phase, bringing the ratio up to 1:2 and the total workout time to 17 minutes. In Phase 3, the rest ratio is cut in half, bringing the ratio up to 1:1. The total workout time increases to 17 minutes. Finally, in Phase 4, the rest ratio is cut in half again, raising the ratio to 2:1 and the total time at 20 minutes. During the "work" or high intensity periods, don't just pick up the pace a little. You want to really go all-out. During recovery periods, make sure you slow down enough to actually recover. The suggested time of each phase is just that: suggested. If you need to spend more than two weeks at a particular phase before moving up, go for it. If 15 intervals is way out of reach, do 10 and build up to 15. Ditto if a phase seems too easy and you want to jump right up to the next phase: Do it! Do the workout 2-4 times per week. Start with 2, then gradually increase to 4 as your fitness improves. Use your imagination. Just follow the work-to-rest intervals as indicated. Repeat another 10 times, followed by a final 15-second high-intensity blast. Repeat another 10 times, followed by a final 30-second high-intensity blast. Repeat another 16 times, followed by a final 30-second high-intensity blast. Repeat another 25 times, followed by a final 30-second high-intensity blast. Interval training was developed decades ago by track coaches as a routine for conditioning runners. At the time it was known by the oh-so-catchy name of "Fartlek" training, a combination of the Swedish words for speed (fart) and play (lek). So it means "speed play," which is a good description! Studies comparing high intensity interval training to continuous steady-state cardiovascular exercise have consistently shown that HIIT workouts are far superior for fat-loss, despite requiring less time to complete. One of the first studies to dig deep into HIIT workouts was done in a 1994 study by researchers at Laval University in Quebec. They reported that young men and women who followed a 15-week HIIT fitness program lost significantly more body fat than those following a 20-week continuous steady-state endurance program. This, despite the fact that the steady-state program burned about 15,000 calories more during the routines themselves. A 2001 study from East Tennessee State University demonstrated similar findings with obese subjects who followed an 8-week program of HIIT workouts. These subjects dropped 2 percent in body fat, as compared to those who followed a steady-state cardiovascular program on the treadmill and lost none. A study from Australia reported that females following a 20-minute interval training program, consisting of 8-second sprints followed by 12-second recovery periods, lost six times more body fat than the group who followed a 40-minute cardio program performed at a constant intensity of 60 percent of their maximum heart rate. The major reason that high-intensity interval training works so well to drop fat to a greater degree than continuous steady-state aerobic exercise appears to be the ability of all-out sprinting to boost your resting metabolism following a workout. A 1996 study from Baylor College of Medicine backed this up, reporting that subjects who followed a high intensity interval training workout on a stationary cycle burned significantly more calories during the 24 hours following the workout than those who cycled at a moderate steady-state intensity. The 2001 East Tennessee State University study mentioned above also found that subjects following the interval training program burned almost 100 more calories per day during the 24 hours after exercise. In a study presented at the 2007 annual meeting of the American College of Sports Medicine by Florida State University (Tallahassee), researchers reported that subjects who performed HIIT workouts burned almost 10 percent more calories during the 24 hours following exercise as compared to those who performed continuous steady-state exercise, despite the fact that the total calories burned during the workouts were the same. In addition to the increase in resting metabolism, research confirms that high intensity interval training is effective at enhancing the metabolic machinery in muscle cells that promote fat burning and blunt fat production. For example, a 2007 Study in the Journal of Applied Physiology reported that young women who performed seven HIIT workouts over a two-week period experienced a 30-percent increase in both fat oxidation, and in the levels of muscle enzymes that enhance fat oxidation. The Laval University study that found a decrease in body fat with HIIT conditioning also discovered that the subjects' muscle fibers had significantly higher markers for fat-burning than those in the continuous steady-state exercise group. A study from the Norwegian University of Science and Technology in Trondheim, reported that subjects with metabolic syndrome who followed a 16-week HIIT routine lost twice as much of the fat-producing enzyme fatty acid synthase as compared to subjects who followed continuous moderate-intensity exercise. A new study published in the American Journal of Physiology sheds some light on another way that interval training burns more body fat. Researchers reported that six weeks of HIIT workouts increased the levels of special proteins in muscle that are responsible for carrying fat into the mitochondria, where fat is burned away for fuel, by up to 50 percent. Having more of these proteins means that more fat can be burned for fuel during workouts, but also when resting. But Is HIIT A Hit For Bodybuilders? In a word, yes. While many bodybuilders and trainers argue that going slower and longer with cardio is best to burn fat and protect lean mass, the opposite appears to be true. Aerobic exercise done at a higher intensity, with the heart rate at 80 percent of max or above, will not only help you maintain your muscle, but can actually help you build more. When you train at a slow and steady pace for a longer period of time, you are training your muscle fibers to be more aerobic and have greater endurance. Do you know how they adapt? By becoming smaller and weaker! The smaller a muscle fiber is, the less time it takes for nutrients to travel within it. This speeds up the rate that the nutrients can be burned for fuel. But even if you think of this from a common-sense perspective, it makes perfect sense. Stating that slow and steady cardio for longer periods of time is best for maintaining lean mass is similar to saying that curling 5-pound dumbbells for 30 minutes straight will build more muscle than curling 40 pound dumbbells for sets of 10 reps with 2 minutes of rest between sets. Sure, both might work to a certain degree, but the higher-intensity workout clearly builds muscle better. If you think about it, weightlifting is actually a form of HIIT! In fact, the research backs this up. One study in the Journal of the International Society of Sports Nutrition reported that male subjects following a 6-week high-intensity interval program while supplementing with beta-alanine gained more than 2 pounds of lean mass after 3 weeks—despite no lifting during the program. The program wasn't anything wild, either: Just 15 minutes, three days per week, at a 2:1 ratio of exercise-to-rest. In another study, New Zealand researchers had competitive cyclists complete four weeks of high intensity interval training involving 30-second sprints on a stationary cycle separated by 30-second recovery periods. One group sprinted with high resistance on the pedals, making it harder to pedal, while the other group used a lighter resistance, which was easier to peddle. Both groups peddled as fast as they could during the 30-second sprints. The researchers found that the men peddling at the highest resistance increased their testosterone levels by almost 100 percent, while the group peddling at a lighter resistance only increased test levels by about 60 percent. Since testosterone is critical for boosting muscle size and strength, the takeaway is that HIIT with greater resistance may help with growth and strength. Interval training also helps you to maintain your sanity by getting you done with cardio quicker. I can't think of anything more monotonous than being stuck on a treadmill, stairmaster, stationary cycle, or elliptical machine for a good 30-60 minutes straight! With HIIT workouts, the intensity bursts may be more grueling, but they are short and challenging. That makes the workout more "fun" and completes it quicker, while raising your heart rate and conditioning your cardiovascular fitness to a greater degree. Another benefit of HIIT is that you can do it almost anywhere with any piece of equipment—or without any equipment at all! Although it can be done on gym machines, you can also do bodyweight moves, like in a conditioning class. The possibilities are virtually limitless. You can use it with a jump rope, with weights, with elastic bands, or just with your bodyweight. So consider doing less slow and long workouts and do more HIIT. Think of it as "conditioning" rather than cardio, because you'll be training like an athlete--and looking like one! The benefits will be maximal fat loss due to a ramping up your resting metabolism and fat burning enzymes, while building muscle, all in a minimal amount of time. Boutcher, S. H. et al. The effect of high intensity intermittent exercise training on autonomic response of premenopausal women. Medicine & Science in Sports & Exercise, 39(5 suppl):S165, 2007. Gorostiaga, E. M., et al. Uniqueness of interval and continuous training at the same maintained exercise intensity. European Journal of Applied Physiology, 63(2):101-107, 1991. Meuret, J. R., et al. A comparison of the effects of continuous aerobic, intermittent aerobic, and resistance exercise on resting metabolic rate at 12 and 21 hours post-exercise. Medicine & Science in Sports & Exercise, 39(5 suppl):S247, 2007. Paton, C. D., et al. Effects of low- vs. high-cadence interval training on cycling performance. Journal of Strength and Conditioning Research, 23(6): 1758-1763, 2009. Smith, A. E., et al. Effects of ß-alanine supplementation and high-intensity interval training on endurance performance and body composition in men; a double-blind trial. Journal of the International Society of Sports Nutrition, 6:5, 2009. Talanian, J. L., et al. Two weeks of high-intensity aerobic interval training increases the capacity for fat oxidation during exercise in women. Journal of Applied Physiology, 102(4):1439-1447, 2007. Tjonna, A. E., et al. Superior cardiovascular effect of interval training versus moderate exercise in patients with metabolic syndrome. Medicine & Science in Sports & Exercise, 39(5 suppl):S112, 2007. Treuth, M. S., et al. Effects of exercise intensity on 24-h energy expenditure and substrate oxidation. Medicine & Science in Sports & Exercise, 28(9):1138-1143, 1996.